November 29 First Sunday of Advent & all White Gift Sunday Donations are due today. We will welcome special guests from the Salvation Army this day and present them with our donations. 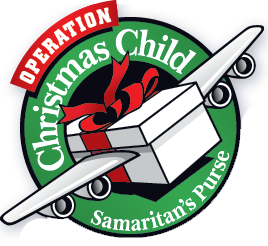 Ideas for your Shoe Box – School suppliers (pencils, erasers, rulers, crayons), small toys (balls, yoyo’s, dolls, toy cars, stuffed animals, picture books) hygiene items (hair brush/comb, toothbrush, washcloth) and clothing (underwear, t-shirts, shorts, pants). White Gift Sunday Drive This Sunday, Nov 1, will mark the launch of our annual “White Gift Sunday” drive. This means that from now until November 29th we will be collecting items that will be donated to the Local Salvation Army in order to support those in need this holiday season. This Sunday there will be white plastic bags available at the back of the Church for parishioners to take home and fill with a donation for the White Gift Sunday drive. In keeping with the history of White Gift Sunday we ask that all donations be either placed in bags or loosely wrapped in white tissue. Doing this will helps us place less emphases on what we have brought and more emphases on the act of giving. All gifts (non perishable food, toys for children & youth, hats, gloves, mitts etc) should be brought to the Church by November 29, 2015. The tradition of White Gift Sunday has its roots in a small Methodist church in Ohio in 1904. What began as a humble way to reflect on the love and devotion of the giver and not the value of the gift has grown into today’s white gift services in many churches across several denominations. The story is told that a minister’s wife initiated the idea to solve the problem of inequity of gifts given at the Sunday school Christmas party. Instead of focusing on receiving gifts, the focus shifted to bringing gifts to Jesus that could in turn be shared with people around the world who did not have much. All the gifts would come wrapped in plain white paper, so that no one would know which was an expensive gift and which was a more modest one. No one would feel ashamed of their gift and everyone would share in the joy of giving to others. Today, in churches that observe White Gift Sunday, in keeping with the spirit of the first White Gift service all those attending bring a gift wrapped in white paper to be given to someone in need.